Have you finished your Christmas shopping? Don't worry! Order by 4pm today for Standard UK Delivery before Christmas (Royal Mail Tracked 24 Service). 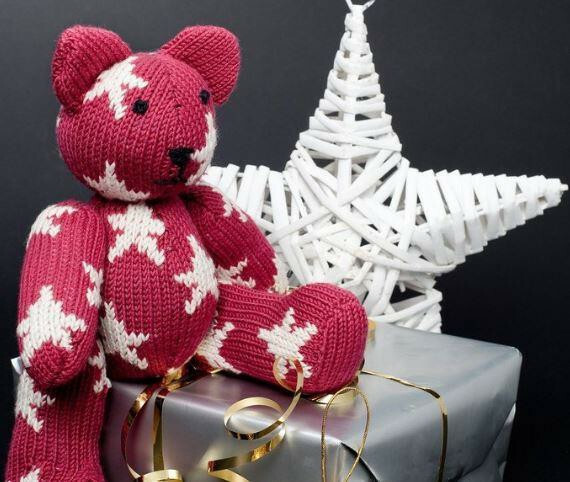 If you're looking for last minute gifts, why not delight a little one with this gorgeous Star Teddy Bear. A lovely pattern for any time of year, this little bear is ready for a celebration. To claim your free PDF download to print at home, just enter the code CDSTARS at the checkout. Knitted in Sublime Extra Fine Merino DK, this bear is just right for cuddling. Get the yarn here, and don't forget we price match our competitors to bring you unbeatable value online.